reTHinK Wellbeing is an innovative workshop to help you understand mental health, cope better with stress and distress, support others and flourish! The reTHiNK workshop concentrates on building wellbeing skills for yourself, and your workplaces as well as simple tips for supporting others going through stress and distress. 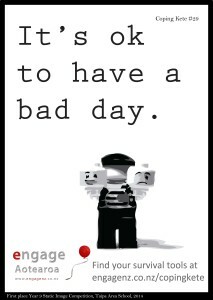 Engaging and entertaining activities help workshop participants, experience, understand and empathise with symptoms of mental health challenges that you may not have had personally. It is relevant for any audience. 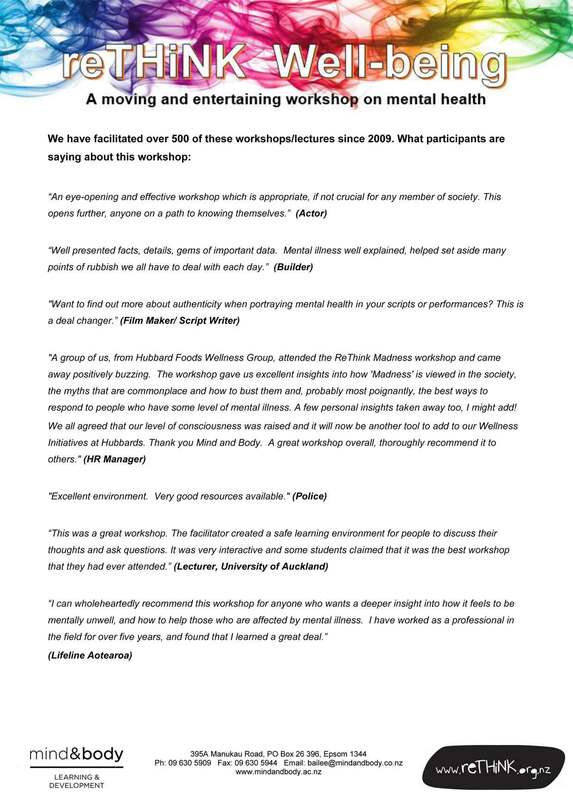 This year reTHiNK workshops have been facilitated for Peers as well as Police, Manufacturing, Retail, Corporate, Health, Builders, Tertiary, Professional Sport and Actors Equity to name a few, and the good folks at Mind and Body Consultants have received hundreds of handwritten testimonials on the value of these innovative workshops. Book Now! Registrations Close on November 10th. More than 200 people from across the mental health and addiction sector and the wider health and social sectors have contributed to a report, co-published by Te Pou and Platform Trust, that aims to prepare NGO mental health and AOD services for “the next round of reform”. “On Track: Knowing where we are going outlines the wide range of issues that need to be considered and addressed to improve health outcomes for people using services, their whānau and local communities, and to ensure the future capability of the mental health and addiction workforce”.